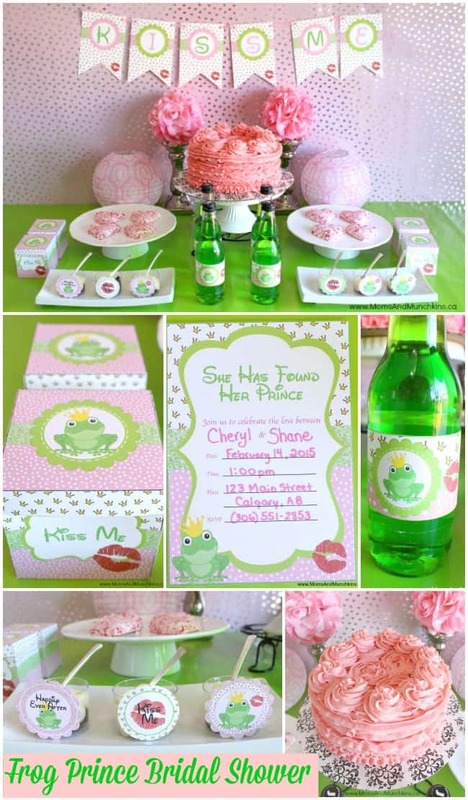 This Frog Prince Bridal Shower is a fun theme with a fairytale twist. It’s perfect for those bride-to-be’s who love a Happily Ever After story! The printables are now available in our Etsy shop. 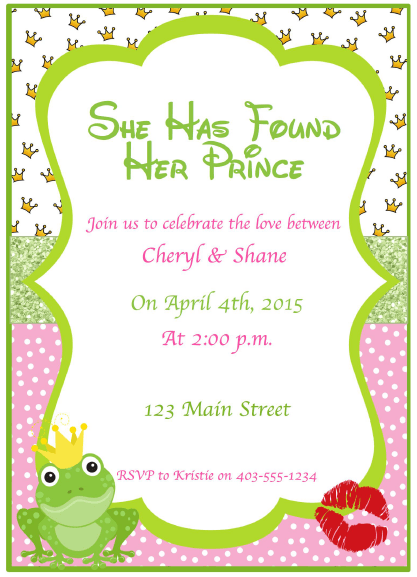 The invitation is personalized once you order. 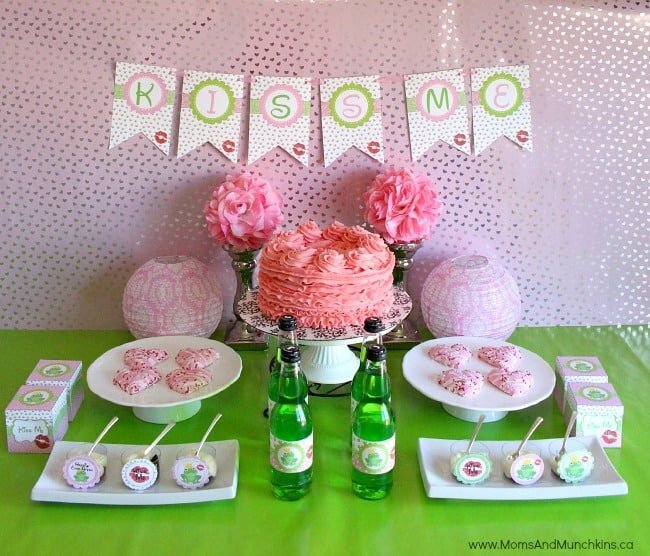 Like I said, I love the combination of pink & green so I have a lot of pink & green in this party. 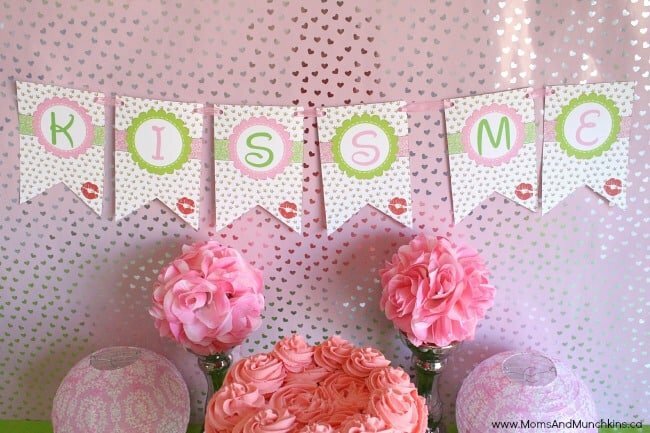 The adorable “Kiss Me” banner includes cute kiss marks on each piece. 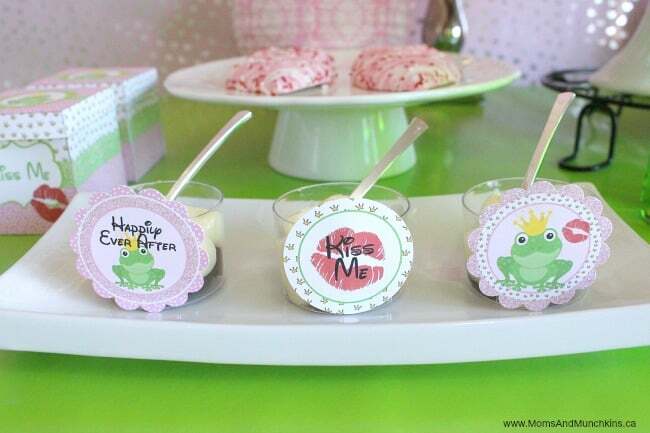 The cupcake toppers can be used on cupcakes, favors, mini appetizer dishes, envelope seals, and more. I used these ones on little cups of pudding parfaits. 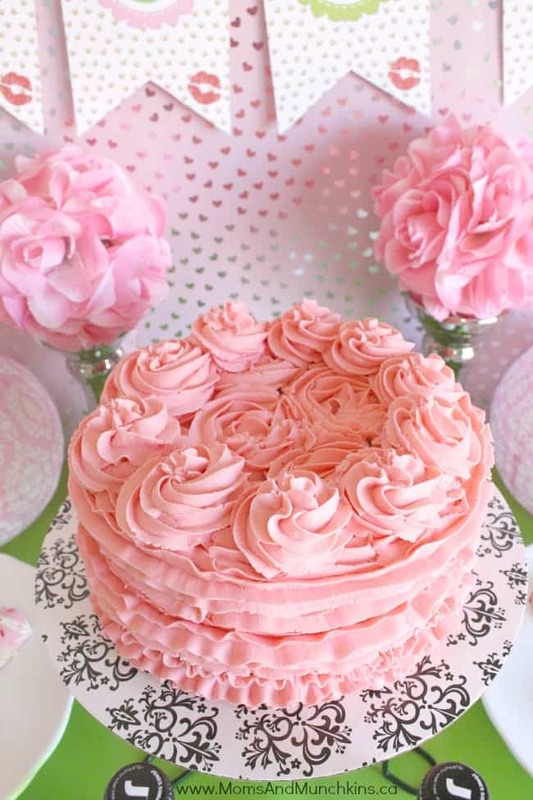 I’m still working on my cake decorating skills so I made a cake for the party that’s really heavy on the icing. Yum! 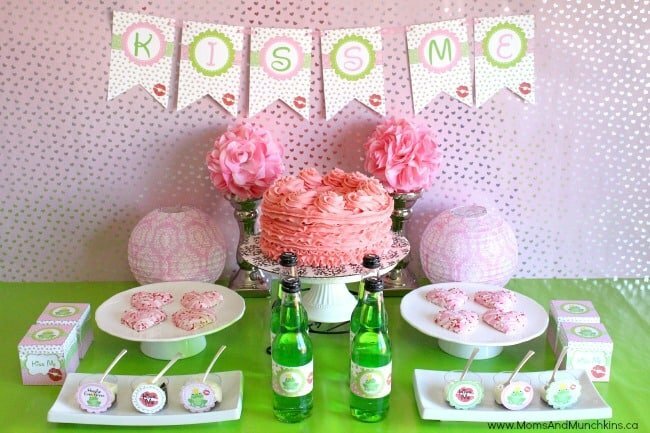 Cupcakes in green cupcake wrappers with pink icing would be perfect for the party too. I love everything with glitter so I think gold glitter cupcake wrappers would be a great fit too. 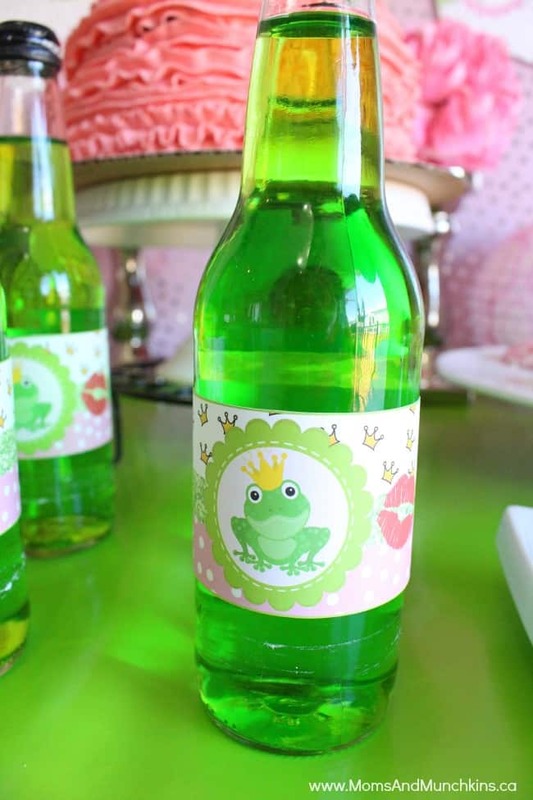 The printable set also includes bottle wrappers. Some drink ideas include green apple pop and pink lemonade. 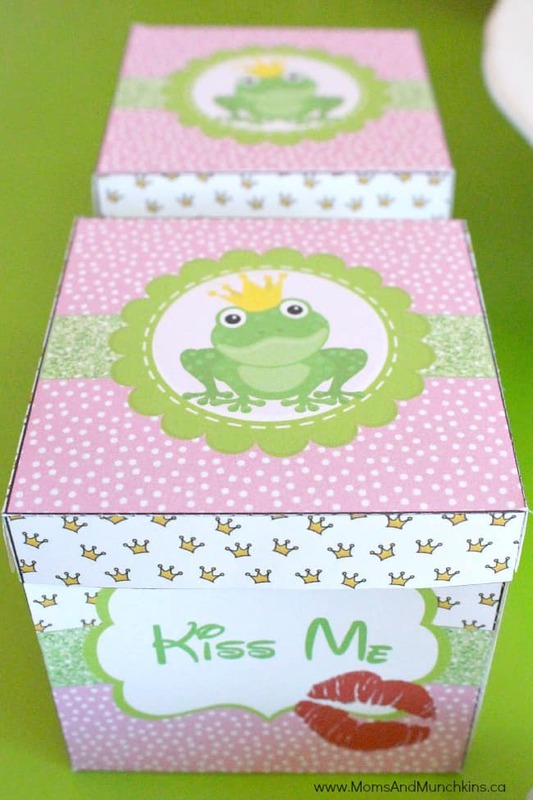 For the favors, we created cute Kiss Me favor boxes that could be filled with treats like Hershey’s Kisses, cupcakes, and candies. Simply print and assemble with a little glue stick or double-sided tape. This set is now available in our Etsy shop. 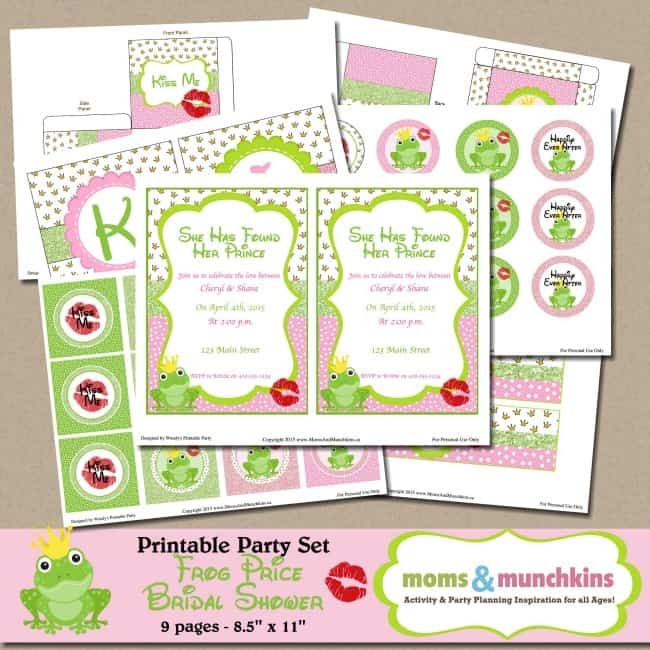 Thank you to the wonderful Wendy of Wendy’s Printable Party for creating this set for us!